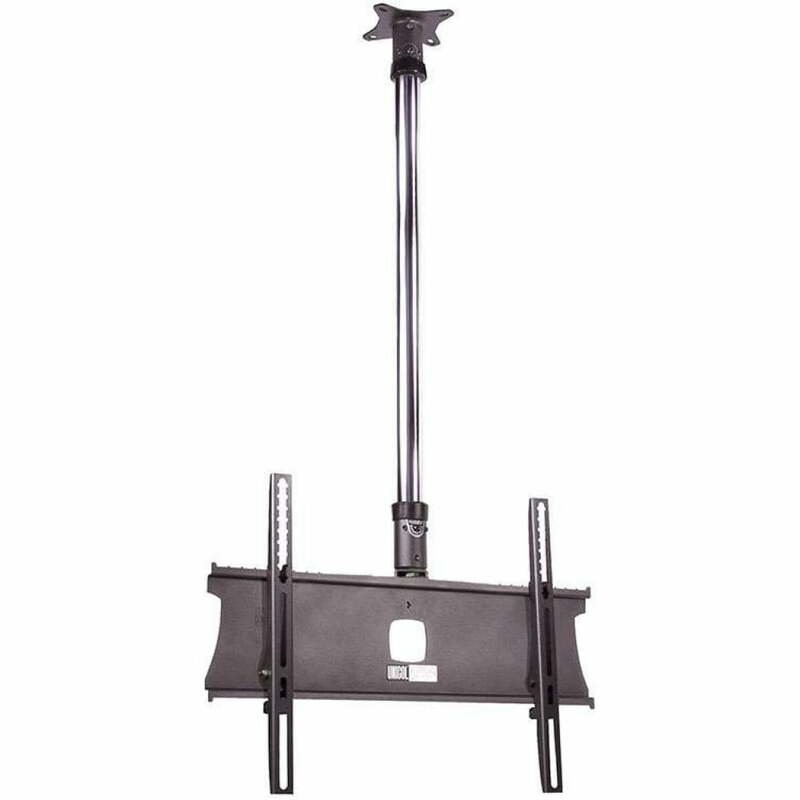 The Unicol Pozimount Universal single Ceiling Mount Kit includes everything needed to attach an LCD, LED or Plasma flat screen monitor video display to the ceiling mount. 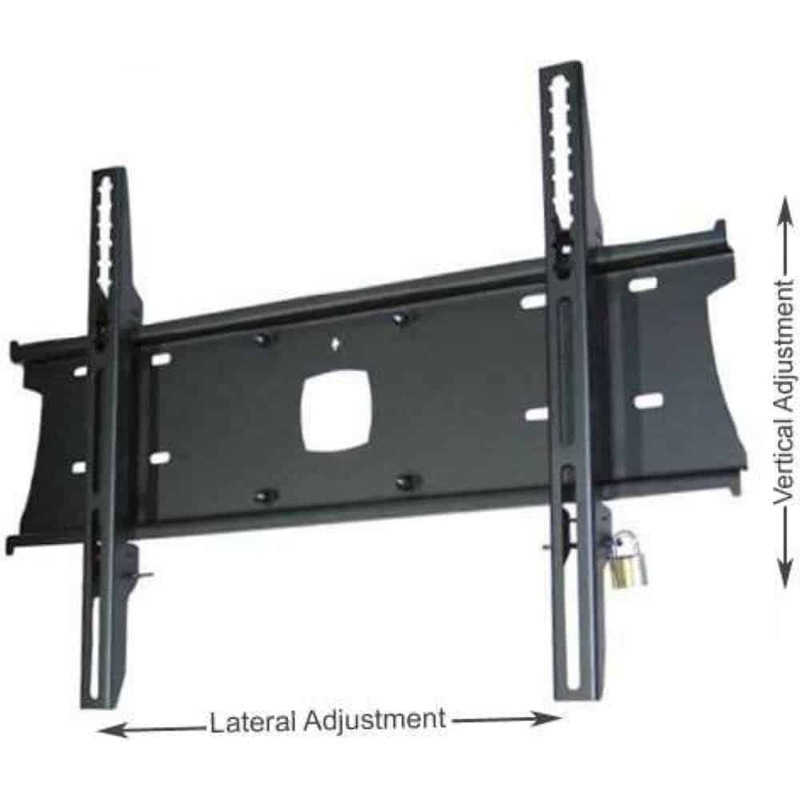 The hanger / mounting kit audio visual support has a mechanism for adjustable tilt counterbalance allowing you to tilt the screen to the optimum viewing angle. It can be tilted forward with an angle up to 11 degrees and may be set or adjusted later, giving you choice and flexibility. The mounting arms can be adjusted vertically to allow the screen to be leveled, even if the mount is slightly at an angle. With lateral adjustment, it will fit most screens not exceeding 60kg in weight. The telescopic drop mounts come with security tags that allow a padlock to be fitted to help prevent theft. One, two and three-metre column lengths are available for both the 27 to 37 inch and 40 to 70-inch ceiling mounts. The mount is available in Black and the column is available in Chrome. Cables can be threaded through the column for cable management. We are a building company and have bought a few from this range. Easy to fit, strong and secure. No problems with these. This ceiling bracket is really strong and sturdy. It fixes easily. We use them from the van all the time.